Aamir Khan also known as Mohammad Aamir Hussain Khan is an Indian film actor who appears in Bollywood that is Hindi movies. He is also a producer and director and has his own production company known as Aamir Khan Productions. Born on 14 Marchm 1965 in Mumbai, Aamir Khan belongs to a family where several of his relatives were members of the film industry. His father Tahir Hussain was a film producer himself and his mother name was Zeenat Hussain. Aamir is a second cousin to Dr Najma Heptulla, the previous Chairperson of Rajya Sabha. He is also an ancestor of the well known freedom fighter Maulana Abul Kalam Azad. His paternal uncle was the renowned producer-director Nasir Hussain. Aamir is the eldest of the four siblings and he has a brother and two sisters. His brother is Faisal Khan who is an actor too whereas his two sisters are Farhat Khan and Nikhat Khan. Aamirs nephew is Imran Khan who is a film actor himself. Aamir completed his pre-primary education from J.B. Petit School and then he switched to St. Annes High School in Bandra and completed standard eight in the school and then switched to Bombay Scottish School in Mahim to complete his ninth and tenth grade. 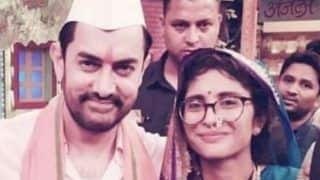 Aamir Khan appeared on the large screen for the first time as a child actor in the film Yaadon Ki Baaraat in 1973 which was his uncle Nasir Hussain's production. Aamir Khan is considered one of the finest actors in India. His recent movies like Dangal, 3 Idiots, PK and Dhoom:3 have broken box office records in India and globally. Aamir Khan is called Mr Perfectionist by his fans for his dedication to every role. 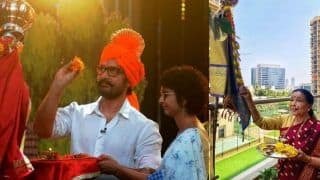 Aamir is also known for raising social issues and has been a part of major social events happening in the country, and also has a TV show called Satyamev Jayate that discusses social issues and provides guidance for solutions. Aamir completed his twelfth grade from Narsee Monjee College in Mumbai. He appeared first on the screen at the age of eight in the movie Yaadon Ki Baaraat directed by his uncle Nasir Hussain. At the age of 16, he was involved in the experimental process of making a 40 minute long silent film titled Paranoia directed by his school friend. The experience of working in the film encouraged Aamir to take up acting as a career. He then joined a theatre group called Avantar and made stage debut with small role in a Guarati play called Kesar Bina at the Prithvi theatre. After completing his high school, he discontinued studies and started working as an assistant director to his uncle Nasir Hussain on the sets of Manzil Manzil and Zabardast. While working with his uncle, he also started to act and he acted in documentaries directed by the FTII Pune students. He was then offered a role in a low budget experimental film called Holi by the director Ketan Mehta. 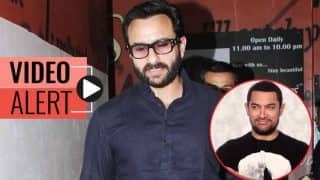 Holi failed to be a successful film but Aamir was noticed by his uncle and he signed him as the lead in his sons directorial debut Qayamat Se Qayamat Tak co starring Juhi Chawla and the movie was based on Shakespearean tragedy of Romeo and Juliet. Aamir played the role of Raj in the movie. The movie was a huge hit and it made both Aamir and Juhi popular. The movie received seven Filmfare Awards which also included the Best Male Debut Award won by Aamir Khan. Aamirs next release was in 1989 in the movie titled Raakh. The movie was shot before Qayamat Se Qayamat Tak but was released later. The film wasnt successful at the box office but it was critically acclaimed and Aamir was awarded a National Film Award-Special Jury Award/Special Mention for his role in both the movies. He later did many movies like Love Love Love, Awwal Number, Tum Mere Ho, Deewana Mujh Sa Nahi and Jawani Zindabad but none of these movie received commercial success. He then tasted success in Indra Kumar directed Dil and he was casted opposite Madhuri Dixit and the movie became a major success and it emerged as the highest grossing Hindi film of the year. 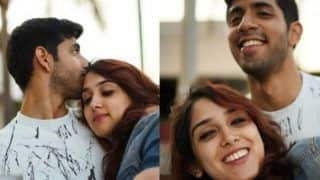 After this success, he then worked as the lead in Dil Hai Ki Manta Nahin opposite Pooja Bhatt and it was a box office success. 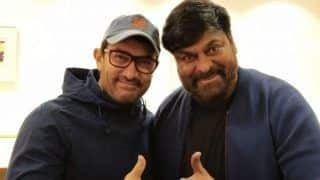 Aamir then became a hit actor and most of the movies like Jo Jeeta Wohi Sikandar, Hum Hain Rahi Pyar Ke, Rangeela, Andaz Apna Apna and most of them were successful both critically and commercially. Andaz Apna Apna was reviewed unfavorably by critics but it gained cult status later. Aamir then used to work for only one or two release a year. In 1996, he was the lead in Dharmesh Darshan directed Raja Hindustani. The film was a blockbuster and it earned Aamir his first Filmfare Best Actor Award and the movie was the biggest hit of 1996 and third overall highest grossing Indian film in 1990s. He later starred in the movie Ishq which performed well in the box office. He was then a part of moderately successful Ghulam and then Sarfarosh. His first release of 2000 was Mela which was a huge flop. 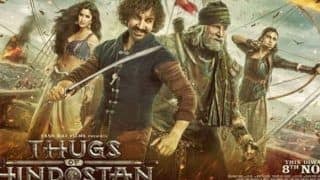 Aamir then started his own production house called Aamir Khan Productions and in 2001, he produced as well as appeared in the movie titled Lagaan. The film was a huge hit and it gathered critical success and also received a nomination for Best Foreign Film Language Film at the 74th Academy Awards and the movies also was the recipient of many awards. The movie won the National Film Award and Aamir Khan won the second Filmfare award for Best Actor. 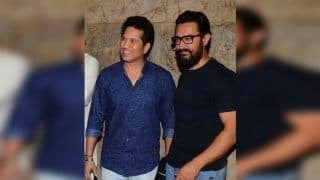 After the success of Lagaan, Aamir worked in Farhan Akhtars directorial debut movie Dil Chahta Hai and the movie was successful and it won the 2001 Best Film Critics Award. 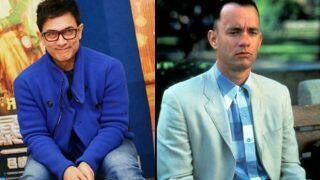 Aamir then took a four-year break from Bollywood after his divorce from his wife Reena Dutta. He made a comeback in 2005 with Mangal Pandey: The Rising and the movie were screened at the Cannes Film Festival. 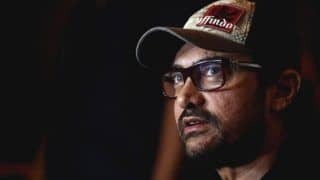 His next movie was the award winning Rang De Basanti where Aamirs performance was critically acclaimed and he won the Filmfare Critics Award for Best Actor and the movie was one of the highest grossing movie of the year 2006. He also was the lead in the movie Fanaa which was also released in 2006 and the movie was a hit at the box office. In 2007, he produced the second movie titled Taare Zameen Par and he himself was the lead in the movie. The movie was also directed by him marking his directorial debut. Aamir received the Filmfare Award for the Best Director and Best Film of 2007. By this time Aamir had established himself as one of the top actors and the most successful and versatile actor in the country. His next movie in 2008 was Ghajini which was a major commercial success and the highest grossing bollywood movie of the year. In 2009, Aamir appeared in the commercially and critically acclaimed 3 Idiots. The movie was such a big hit that it became the highest grossing Bollywood film of all time in India and the movie grossed 202 crore rupees. Khan then appeared in Talaash that was produced by him and the film was hit in India as well as overseas markets. In 2013, Aamir appeared in Dhoom 3 and it was declared as the biggest hit of 2013 after two days of its release. The movie broke the record of 3 Idiots and it became the highest grossing bollywood film of all time. Later in 2014, Aamir appeared as an alien in Rajkumar Hirani's PK. The film received critical acclaim and it broke Dhoom:3's record and became the highest grossing Bollywood movie of all time. His character in the movie was praised by the critics. Aamir didn't appear in any movie in 2015. 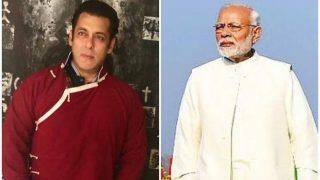 His film Dangal, the biopic of wrestler Mahavir Singh Phogat, released in December 2016 and is the highest grosser worldwide, with great success at the Chinese box office as well. Aamir Khan married to Reena Dutta on 18th April, 1986 and they have a son named Junaid and a daughter Ira. Aamir divorced Reena in 2002 and his ex-wife took custody of both the children. 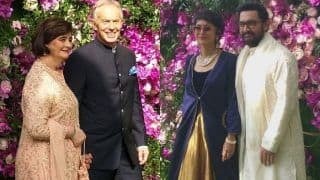 Aamir married director Kiran Rao in 2005 and they have a son through surrogacy, Azad Rao Khan. 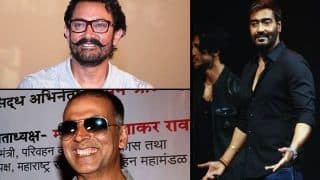 Aamir Khan Locks Diwali 2020 as Release Date For His 'Forrest Gump' Remake 'Lal Singh Chaddha'?